Columbia University ‘ 16, where she enjoyed exploring Manhattan for several years. After graduation, she returned home to begin her career. Elizabeth enjoys working with a variety of patients and aims to instill knowledge and confidence needed to regain function and improve their overall fitness. 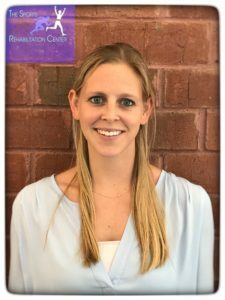 Outside of physical therapy, Elizabeth enjoys coaching basketball and gymnastics/cheerleading, water skiing, and traveling.